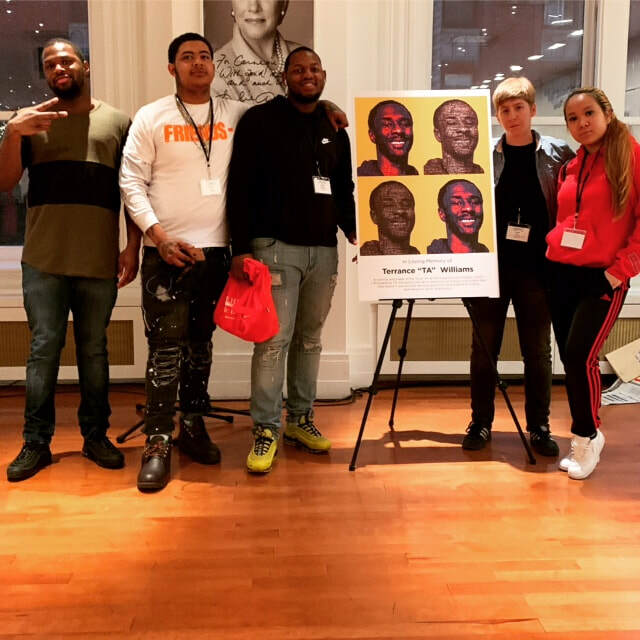 The Youth Art & Self-Empowerment Project (YASP) is building a youth-led movement to end the practice of trying and incarcerating young people as adults. Through its work in the Philadelphia jails, YASP provides space for incarcerated young people to express themselves creatively and to develop as leaders both within and beyond the prison walls. Young people who have been through the adult court system are at the forefront of YASP, leading the movement to keep young people out of adult prisons and to create new possibilities for youth around the city. LAUNCHING YASP'S NEW YOUTH PARTICIPATORY DEFENSE HUB! On Tuesday, April 2, YASP will launch the nation's first youth-focused participatory defense hub. The hub will meet every Tuesday, 4:30-6:30PM, at the Institute for Community Justice (1207 Chestnut St, 2nd floor). The hub will be a youth-led space where any young people with open court cases - or their families - can come to get support, talk through how the process works, and think about their next steps and strategies to get the best possible outcome for their future. Spread the word! Call the YASP office with any questions - 267-571-9277. Watch YASP's films, Stolen Dreams I & Stolen Dreams II! Our first "Stolen Dreams" film features the stories of young people who founded YASP, and their experiences being in adult jail and coming home from the adult system. It also includes interviews with young people in one of the city's adult jails, as well as judges, teachers, and social workers who work directly with youth who are charged as adults. Click here to watch Stolen Dreams I. "Stolen Dreams II " is a very captivating film and it holds your attention. We take you into the community and talk about the violence that's going on and how we can find better ways to deal with youth violence instead of locking them away, which causes worse problems . The film includes powerful motivational speakers, including YASP staff and allies. The documentary is a great film and it would open your eyes on a lot of problems going on in our communities. ​You can watch Stolen Dreams II here. Romeeka Williams, YASP supervisor and facilitator, speaks to the students assembled at the Youth Build Charter School, while Alisha Alexander, right, looks on. Check out coverage﻿ of YASP's work in the Philadelphia Inquirer. ​"Although [Zekey] just got out of prison, he's spending as many Saturdays as possible back in, as a YASP volunteer. "I just want to help somebody. I know it's cliché, 'If you can help just one person,' he said. 'But one life is​ a whole lot.'" All donations make it possible for YASP to employ formerly incarcerated young people and train them as organizers and leaders of the organization. 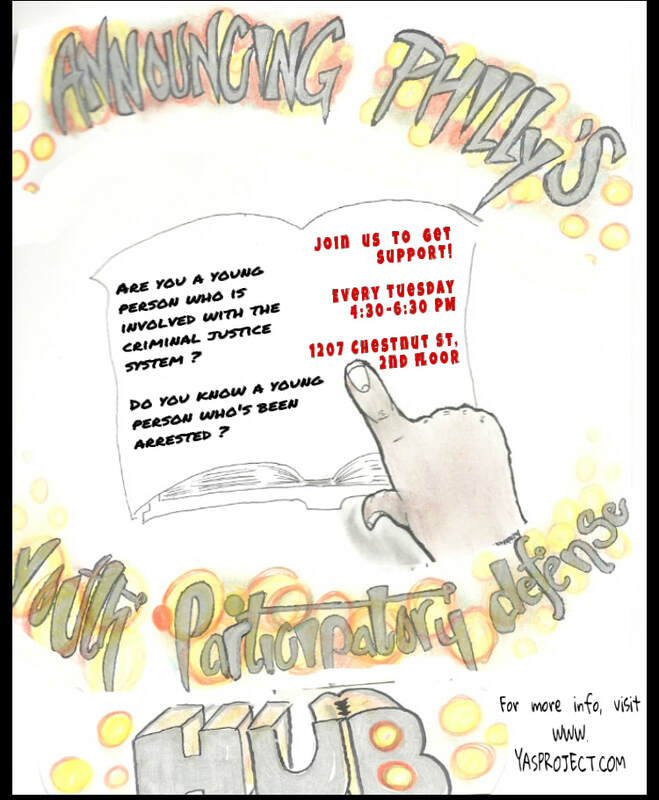 Help us build a youth-led movement to keep young people out of adult prisons! ​If you make a donation of $20 or more to YASP, you can have your very own copy of "Stolen Dreams II"! Make a donation through our Paypal account above. You can contact us at yasproject@gmail.com or 267-571-YASP with any questions.